London is, without a doubt, one of the most multicultural cities in the world. Thousands of people move to the English capital every year from all across the globe, each of them bringing a piece of their culture to London and adding to the city’s lively, magical atmosphere. A beautiful cacophony of different accents and languages can be heard in every corner of the city, and restaurants offering foreign cuisine are aplenty: sometimes it feels like there is no need to leave London to travel the world. However, experiencing a different culture authentically requires more than exotic dining or eavesdropping foreign people’s conversations hoping to catch at least one word. If you are itching to go on an adventure but have to wait until next summer to pack your bags and hop on a plane to somewhere you have never been before, foreign cinema might be just what you are looking for: it will give you the chance to get immersed in another language and culture for a couple of hours without going too far from home, taking time off work or breaking the bank. Below is a list of cinemas in London that offer foreign movies in their original language, for your watching and listening pleasure. 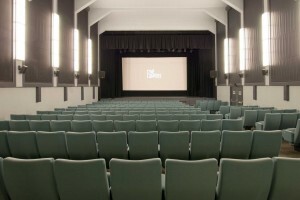 The Ciné Lumière, part of the Institut Français, offers an interesting selection of recent and old movies in French. With lots of exciting events like Q&As and the 25th French Film Festival coming up later this year, the Ciné Lumière is worth a visit. If you are 25 years old or under, they also offer a £5 scheme! For more info, click here! The Instituto Cervantes of London has a thriving cultural programme that includes screenings of Spanish language movies. While they do not have their own cinema like the Institut Français, which means they do not offer daily screenings, they signal all upcoming events on their website. For more info, click here! Back in 2014 one of the former directors of the Italian Film Festival in the UK decided to found CinemaItaliaUK in order to screen Italian movies in London all year round. With monthly screenings at Genesis Cinema and Regent Street Cinema, they also often offer special events and follow all their screenings up with tastings of Italian food and wine. For more info, click here! The Goethe Institut, whose aim is to promote the learning of the German language in London and all around the world, has an extensive list of upcoming events that includes some movie screenings, too. For more info, click here! So You Think You Know…Christopher Nolan?